Want the ultimate Adventure Quest expererience, complete with props, costumes, trap rooms, and extra characters? Check out the Adventure Quest Overnight. See our program calendar for a list of upcoming Adventure Quest programs near you. Want to learn more? See our Tour of Adventure Quest and watch our video. Gear up for adventure with our Adventure Quest Game Book, available at our online store, and have it delivered to your child when they come to quest. Our South Boulder programs are held at Harlow-Platts Park near the South Boulder Recreation Center. We meet for sign-in and sign-out at the furthest south parking lot. Get directions to Harlow-Platts Park. We are happy to provide programs serving East Boulder & Lafayette at Mackintosh Academy. Our programs in Longmont meet at Left Hand Creek Park. 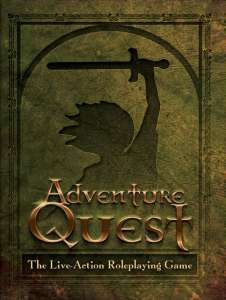 All the essential rules and knowledge of Adventure Quest! Whether you are coming to one of our programs and want to get the most out of your adventure, or want to play our amazing live action roleplaying game on your own, you may purchase our game book in our online store, and have it delivered to you at camp. Lafayette programs are located at Dawson School. Get directions to Dawson School. Our Central Boulder programs meet at the downtown Boulder Public Library, and quest in Civic Center Parks. Meet at the grassy space near the creek, just east of the library parking lot and new bike path. Get directions to Boulder Public Library. 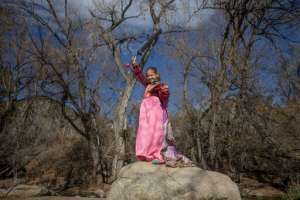 Our West Boulder programs meet at the Eben G Fine Park, and quest there and nearby parks. Meet near the parking lot on the far east side. Get directions to Eben G Fine Park. Best. Camp. Ever. Provides a safe, carefree, playful environment and loads of creativity and imagination – which should be the realm of all kids, especially during the summer! The Quest Leaders are fantastic. In my kids’ words, their leader was “amazingly, absolutely, positively, magically awesome!” RA has been their favorite summer camp, hands down, for 4 or 5 years now. Ian is so enthusiastic about the Renaissance camps that he said that this is the best year ever because I let him attend your camp! Stella loves it too, especially the summer camp at Settler's Park! My girls think A.Q. is the best camp they've ever attended. Rachel’s favorite activity was sword fighting, especially with a purple sword. It’s really impressive how they teach the kids by solving riddles and working together as a team in their mythical quests.